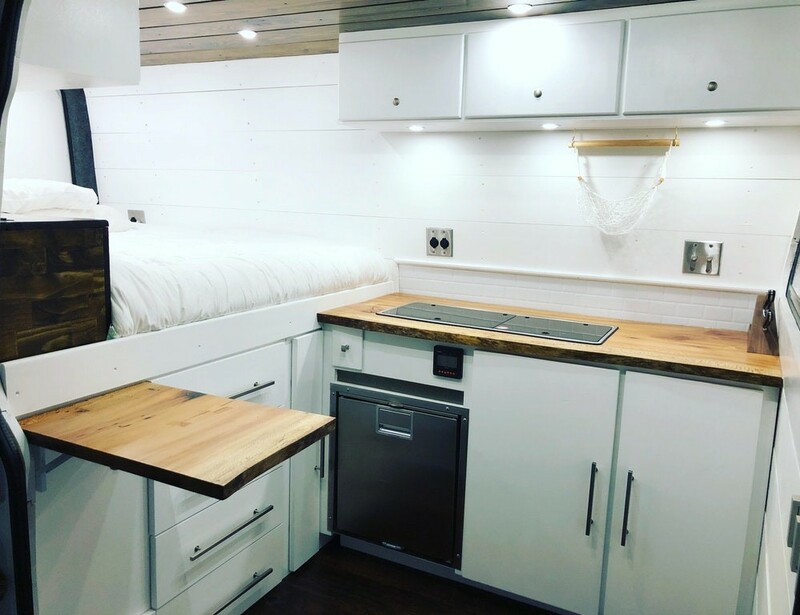 One of the latest trends that have been popping up around the world is the “glamper camper”. A beautifully designed and built campervan made into often times an old van or bus. 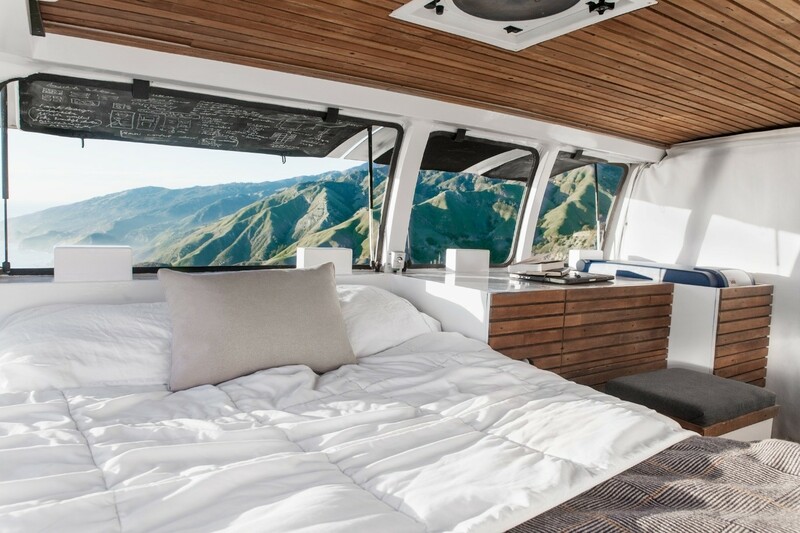 Chucking a bed in a van has been around since at least the 60’s when surfers and hippies made the Volkswagen Kombi van as iconic as the Beatles, but these new designs have taken them to the next level. Here at PlacesYoullSee we decided to make a list of our favourite 7. Decked out in white with a sideways bed and kictchenette Daniel has made an absolute masterpiece. See more pictures on his instagram. We loved how much this van looked like a bedroom compared to a van with a bed in it. 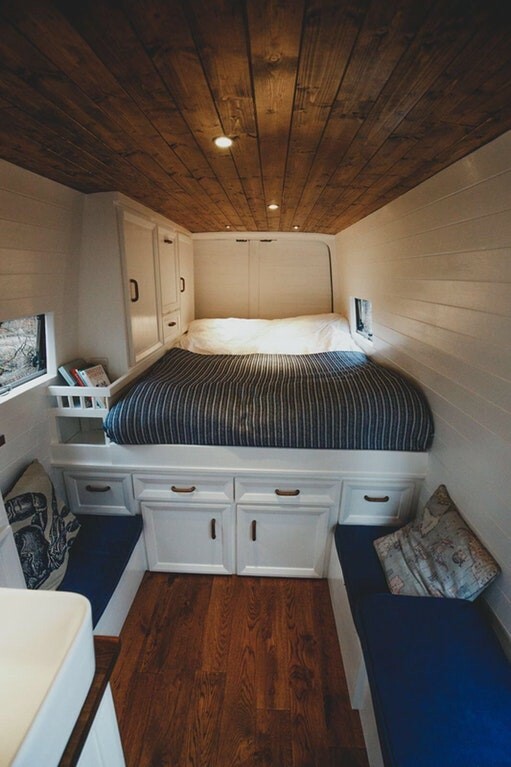 The use of wood on the floor and ceiling gives this camper a touch of class that you rarely see. 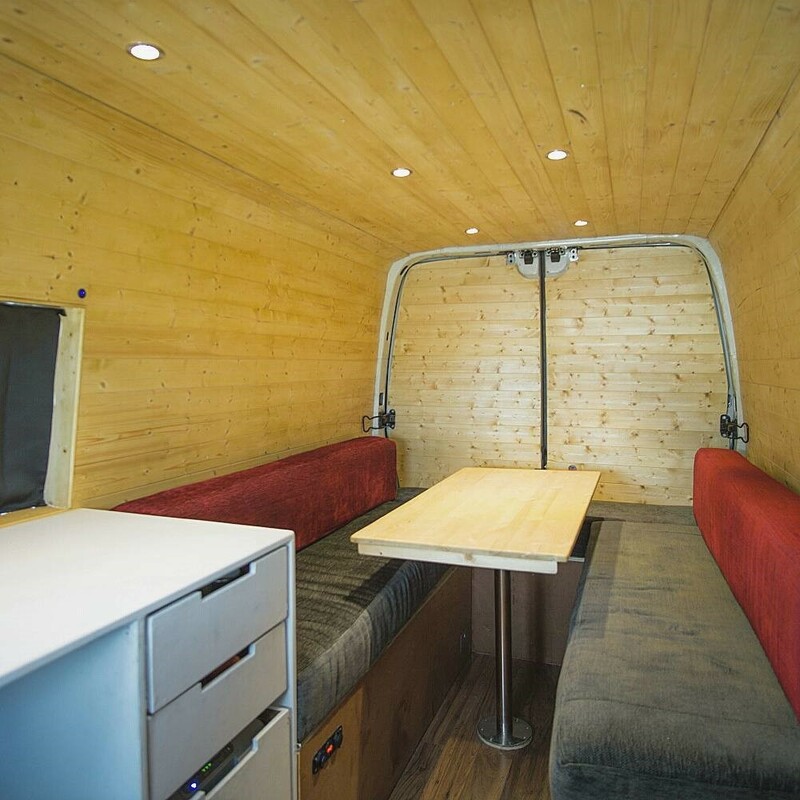 Little touches like a bookshelf show just how much planning went into the design and building on this campervan. Read about the conversion here. This van takes a different approach to give you a lot more storage room. 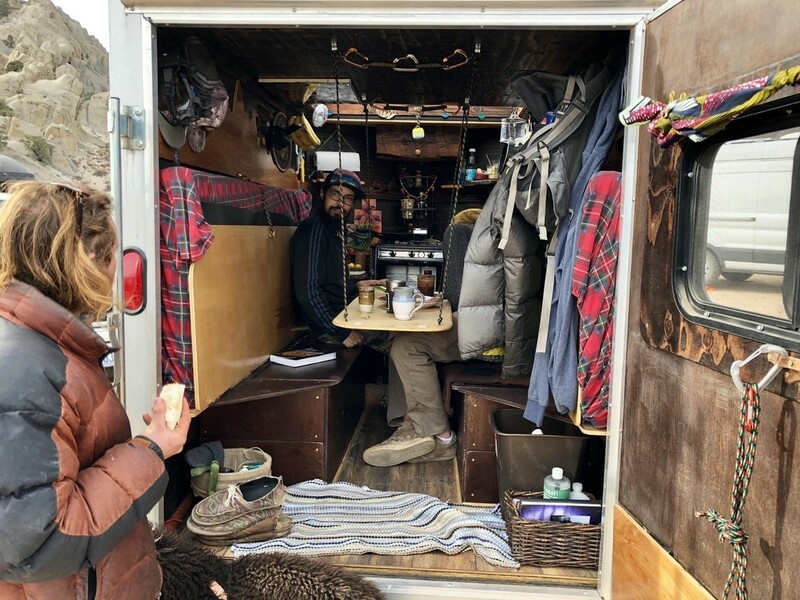 By splitting the van into 2 levels the entire bottom half of the van can be used for storing anything large (think mountain bikes, canoes etc). The upper level has a large bed and classy wooden roof. See more build photos here. 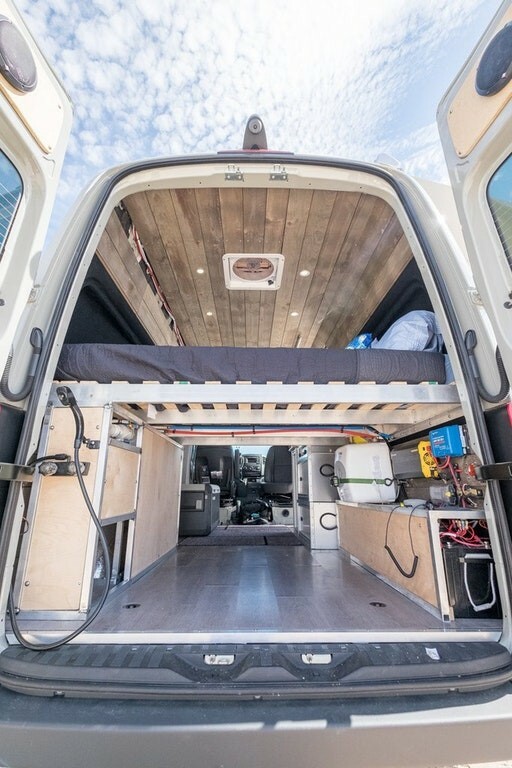 This van made our list due to how well they have taken advantage of limited space. 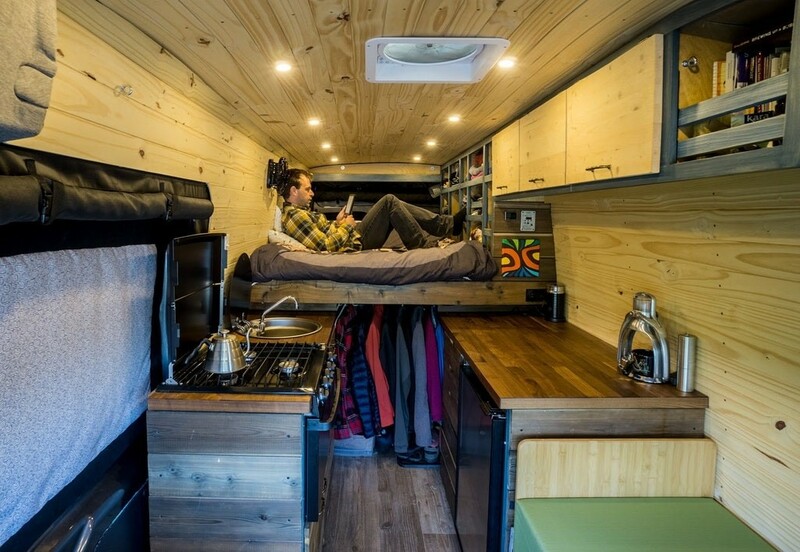 Much smaller than a lot of the other vans used here the use of fold down beds and a hanging table allows for a great use of available space.